Bob Fox starts prototype work on the first "FOX AirShox" on a Maico dirt bike. All drawings were done by hand and Bob worked in a friend's garage who had a mill and a lathe. First production of the FOX AirShox is completed. Kent Howerton won the 500cc National Championship on FOX AirShox on a factory Husqvarna. The 125 and 250 National Championship series started at Hangtown. In the 125cc class Pat Richter took second place using 171/2" FOX AirShox on his Suzuki 125B from Moto-X FOX. In the 250cc class Jim Pomeroy took second place using 171/2" FOX AirShox on his Honda. Brad Lackey finishes second in the second round of the 500cc world championship. Brad switched to the 17 1/2" shocks for this race after a problem in the initial round on another brand of shock. 05.15.77 — Brad Lackey wins first Moto in today's 500cc World Championship race on his 17 1/2" equipped Honda. 05.22.77 — Brad Lackey again finishes second to Heikki Mikkola in today's 500cc World Championship race. Brad's Honda was equipped with 17" FOX AirShox. 06.19.77 — Jim Pomeroy wins the U.S.G.P. first Moto wire-to-wire on his 17 1/2" FOX AirShox equipped Honda. 07.02.77 — Brad Lackey became the first U.S.A. rider to ever win a 500cc Grand Prix overall. The 17 1/2" Air Shox was again part of the winning combination. Marty Smith became the first rider to win a national championship in more than one class today. The 17 1/2" FOX AirShox helped Marty throughout his championship season. FOX succeeds outside of the MX Arena. In the late seventies, FOX were being used on offroad racing cars with success. Roger Mears began using FOX on his factory Nissan truck, winning his class in numerous major offroad races. Bob started his own company, "FOX Factory, Inc." and all FOX AirShox were distributed through "Moto X FOX". FOX Factory goes to Indy. The FOX equipped Texaco/Havoline car driven by Tom Sneva, won the 1983 Indy 500 race. In 1983, 14 out of 33 cars running at Indy were equipped with FOX. Additionally, Tom Sneva won the Cart Indy Car Championship in 1983 using FOX. FOX Factory started to promote the use of the company's shocks on road-racing motorcycles. The company adapted the state of the art Twin-Clicker MX shocks for road racing and was soon successful. The Twin-Clicker shocks were so successful, that in 1982, Eddie Lawson won the AMA Superbike Championship using them. Every team active in Superbike that year was also using FOX. FOX enters the snowmobile aftermarket with a coil-over shock distributed by Jack Struthers/Carl's Cycles of Boise, ID. Arctic Cat specs FOX on 1990 models. FOX is spec'd by Cannondale Bicycles on their first line of dual suspension mountain bikes. FOX enters the mountain bike front suspension market with FOX FORX. Brian Lopes becomes UCI Mountain Cross World Champion on FOX FORX FLOAT 100 RLC. FLOAT X EVOL becomes first air shock to win in the ATV division. FLOAT X EVOL becomes first air shock to win in the snowmobile division. 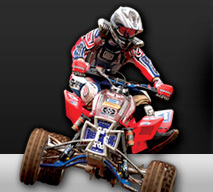 First-ever dual World Championship on FOX 40 RC2 and DHX RC4. FOX enters the side x side and utility quad markets. 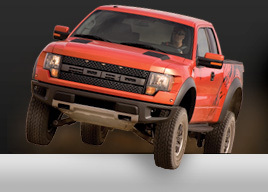 FOX proprietary internal by-pass technology is spec'd on the 2010 Ford F-150 SVT Raptor. FOX produces first-ever suspension on a watercraft, and first snowmobile fully suspended by air. Levi LaVallee executes first ever double backflip on a snowmobile and Paul Thacker breaks world record with 300 ft. jump. Re-entry into the motocross market with PODIUM RC3 using FOX proprietary technology. Vildosola Racing takes overall victory at 2010 Baja 1000, besting the moto class in a point-to-point for the first time since 1973. World Champion stripes earned by FOX's Tracy Moseley and Mathias Flueckiger. Aaron Gwin becomes the first American man ever to win the World Cup Downhill title, and the first to win 5 races in the series.